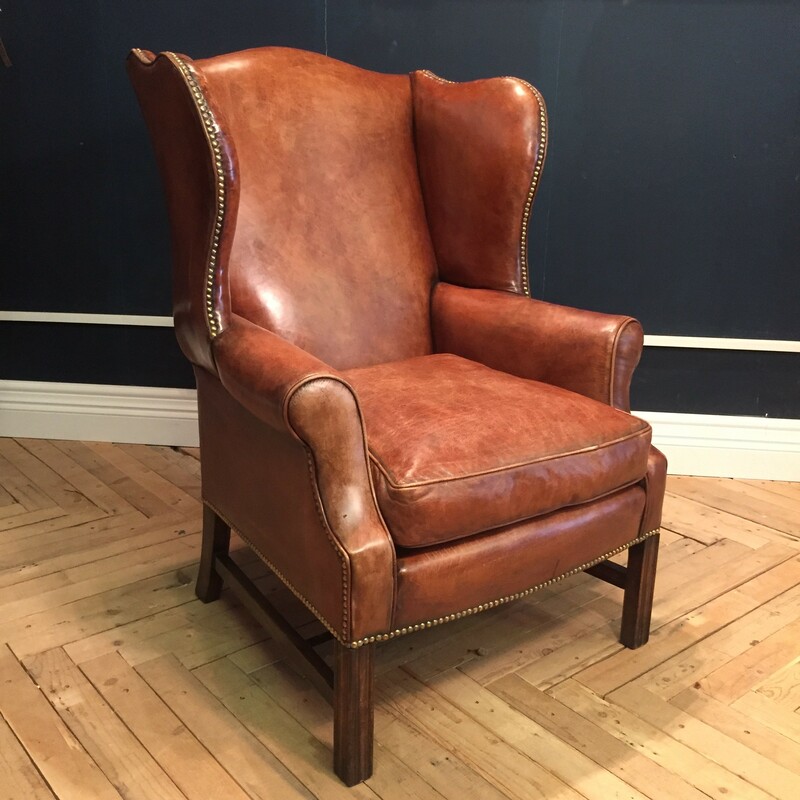 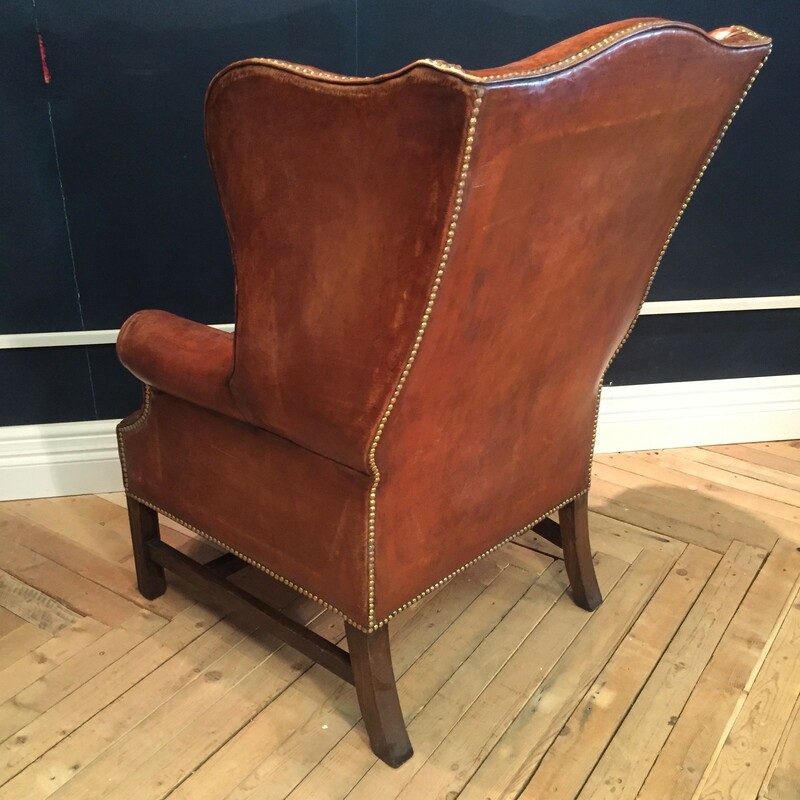 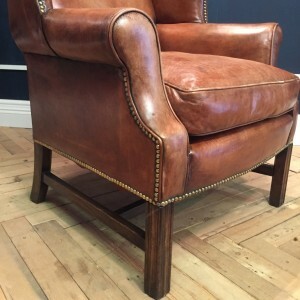 Classic Georgian style wing chair covered in our Vintage Dark Tan hide lightly aged using our unique distressing technique to give it an antiqued finish. 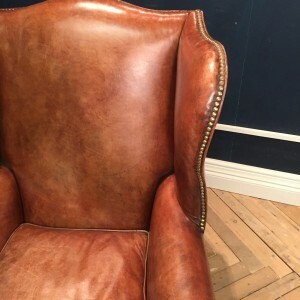 The chair has a feather filled cushion (alternatives are available) and hand sprung, 4 way hand tied coil springing in the seat for long life. Choice of colours include Black, Red, Light Tan, Dark Tan, Tobacco Brown.